ACSM’s Clinical Exercise Physiology adapts and expands upon the disease-related content from ACSM’s Resource Manual for Guidelines for Exercise Testing and Prescription, 7th Edition, to create a true classroom textbook. This new resource offers research-based coverage of more than 35 conditions commonly seen in practice—from a host of cardiovascular disorders to immunological/hematological disorders. 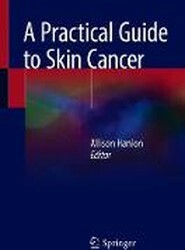 Condition chapters are organized by disease types and then divided into sections that cover specific conditions from a pathological and etiological perspective. To provide a complete view of clinical exercise physiology, the book also covers important considerations and foundational elements, such as screening, pharmacology, and electrocardiography. As an American College of Sports Medicine publication, the text offers the unsurpassed quality and excellence that has become synonymous with titles by the leading exercise science organization in the world. 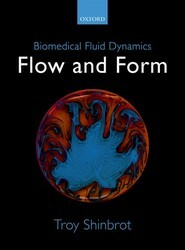 This is a readable and attractively presented overview of fluid flow in biological systems. Examples include flow through blood vessels, pulsatile flow, and pattern formation. The book includes popular vignettes and historical anecdotes and it offers a first-principles introduction to modern mathematical methods needed to solve complex problems. New from the American College of Sports Medicine! This clear and highly applied overview of exercise nutrition illustrates difficult concepts using real-world examples and case studies that allow students to put learning into practice. Well-known author Dan Benardot draws on his vast experience as an instructor, scientist, and practitioner to craft an engaging and factual resource that makes the nutrition of exercise science accessible. Written at a level appropriate for both exercise science majors and non-majors, this practical book is packed with helpful in-text learning aids and stunning visuals that bring concepts to life. As an ACSM publication, this text offers the unsurpassed quality and excellence that has become synonymous with titles by the leading exercise science organization in the world.